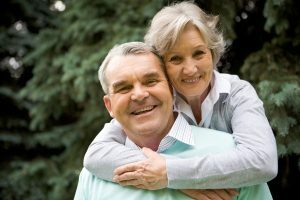 If a family member or friend is living with dementia, you know that beyond the most well-known symptoms of memory loss and confusion, there are other common behavioral and psychological symptoms that can be very challenging to manage, such as aggressive behavior, wandering, anxiety, agitation and insomnia. Many people are prescribed anti-psychotic medications to lessen these behaviors, but a new study found that these drugs were less effective than behavioral therapy. The study, which was led by psychiatrist Helen Kales, MD, director of the University of Michigan’s Program for Positive Aging and co-authored by Laura N. Gitlin, PhD, a professor and Director, Center for Innovative Care in Aging at the Johns Hopkins School of Nursing and Constantine George Lyketsos, MD, a professor at Hopkins’ Bloomberg School of Public health and practicing psychiatrist, examined 20-years’ worth of scientific studies of the effectiveness of a variety of drugs, including anti-psychotics, antidepressants, mood stabilizers, cholinesterase inhibitors and memantine, and benzodiazepines. The researchers also looked at studies of the effectiveness of non-drug approaches to managing the symptoms. The reason that exploring effective ways to manage these symptoms is important is not only do they cause stress and distress for caregivers and the people with dementia, they are often the cause for early placement in a nursing home, injuries and death, and admission to the hospital. The increased stress caused by these symptoms also increases caregivers’ risk of depression. In contrast, antipsychotic drugs were half as effective as caregiver interventions for lessening the frequency and severity of behavioral and psychological symptoms. In addition, studies have found that using these types of drugs for people with dementia for six months increases the risk of death four to seven percent and that the risk of death continues to rise with use beyond that six month timeframe. Caring for aging parents, spouses, relatives or friends can be a complex and stressful experience, but access to the right care and support can help you make sure that your loved ones receive the care they need to manage any health problems. That lowers stress levels for both of you and allows you to focus on spending time together doing the things that you enjoy.